Peugeot Boxer Interior, Sat Nav, Dashboard | What Car? 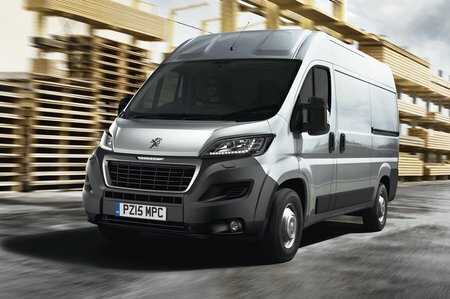 The Peugeot Boxer has some of the best interior storage space of any van in the segment. There are two large glovebox compartments: one on the passenger side and another in the centre of the dash. There are also various trays and other compartments in the dashboard and the doors, but it does lack storage immediately around the driver. In the past, the Boxer’s interior felt a little cheap and underwhelming. While it is still quite austere, the quality is now comparable to other more upmarket rivals, with plastics that are hard and seem durable. The highlight is undoubtedly the tablet holder, which works well to grip devices of up to 10.0in, but the holder itself does feel a bit fragile and goes someway to blocking the built-in display beneath it. 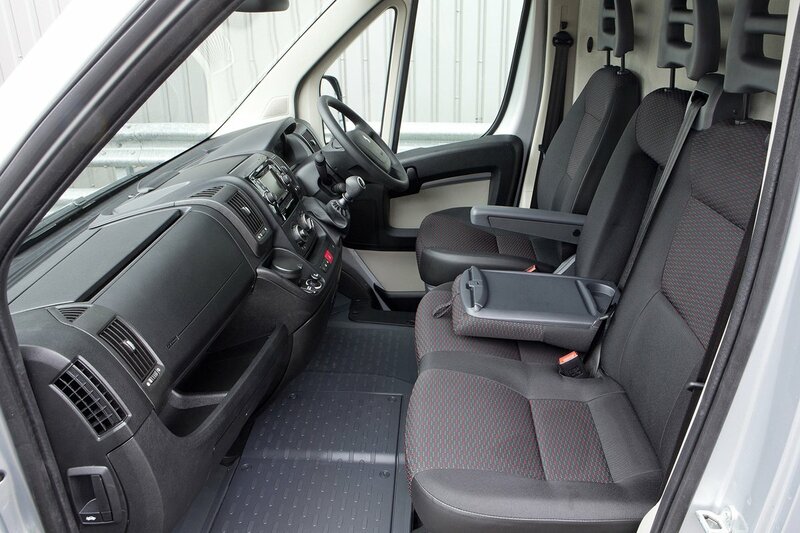 The driving position is high and the seating is firm, but there’s a good amount of movement in the driver’s seat along with height adjustment, which means you can find the right seating position easily. We’d recommend specifying the 5.0in colour touchscreen, which is used for the satellite navigation and reversing camera system. The screen is optional but along with the navigation comes as standard on the Professional trim level. DAB radio and Bluetooth are fitted as standard, along with a USB connection. 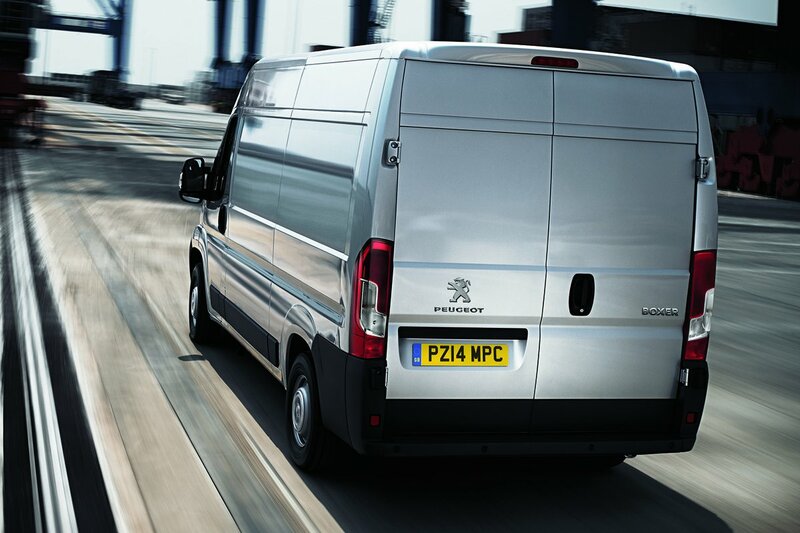 Standard vans also get electric heated mirrors, which many entry-level competitors don’t offer, but you’ll have to have the Professional trim if you want cruise control or air conditioning. Additional option packs are also available including the Comfort Pack, which adds automatic wipers and lights, a leather steering wheel and full climate control along with an air-conditioned glovebox. The Safety Pack includes a passenger airbag, tyre pressure monitoring system and lane departure warning system.